This year, readathons are vibing as more important to me than ever, as my girlfriend and I might be moving in, and a lot of my books are already at her place, but I have so many left at my apartment. Where will we put them? I have zero idea. When I moved to said apartment, I got rid of 200 books, as I was going from a 2 bedroom to a studio, but my assumption is I'll have to get rid of approximately 200 more before the move. This fall. In about seven months. So reading things is feeling rather urgent. 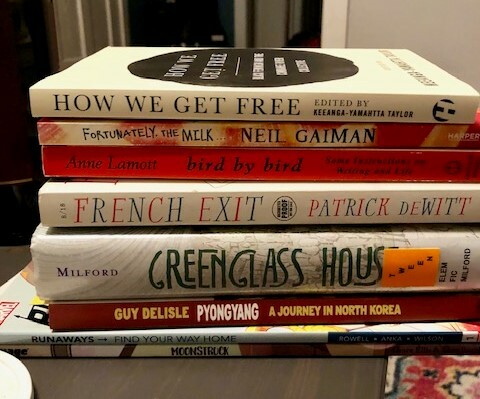 In the meantime, if I can combine a Marie Kondo approach with "I can get this at the library and don't need to own it," then things might be okay. Maybe. Possibly. We'll see.